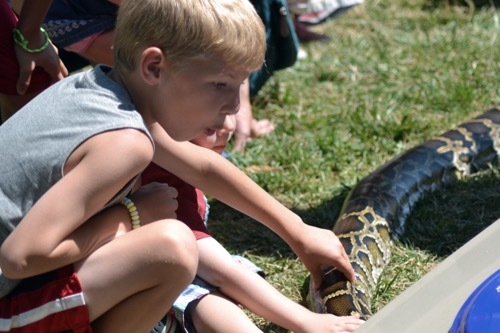 Eton Explorers kicks off its third year of free summer fun at Eton Chagrin Boulevard in Woodmere with a Safari Party June 12 from 11 a.m.-1 p.m.! Registration is now open for Eton Explorers — Safari Party, brought to you by The Lillian and Betty Ratner School and Northeast Ohio Parent Magazine. The Safari Party will feature live animal encounters with the famed Jungle Terry and face painting by 5 Star Talent. Parents, caregivers and kids also will enjoy crafts, games and other activities, as well as balloon twisting, music and entertainment. The first 250 registered families qualify for a free 2018 Eton Explorers T-shirt! Click here for more event details and to register. Like Northeast Ohio Parent on Facebook for more information and updates on all events in our summer series!